No Guts, no glory. The latest trailer for Berserk And the Band of the Hawk puts in the boots of the Black Swordsmen and Griffith. We even get a look at the epic boss fights that Guts will have to contend with next year. Designed in the vein of the popular Dynasty Warriors series, the popular Berserk manga and developer Omega Force seem like a match made in heaven. Expect to see Guts completely eviscerate the hundreds of enemies that stand in his way; in a way, seeing people getting cut into pieces makes sense considering Guts is wielding something called the Dragonslayer Greatsword. Judging by the opening cinematic, there will be no shortage of gore and over the top violence. The trailer released by Koei Tecmo shows off gameplay for Guts, Griffith and colossal boss fights that await you. 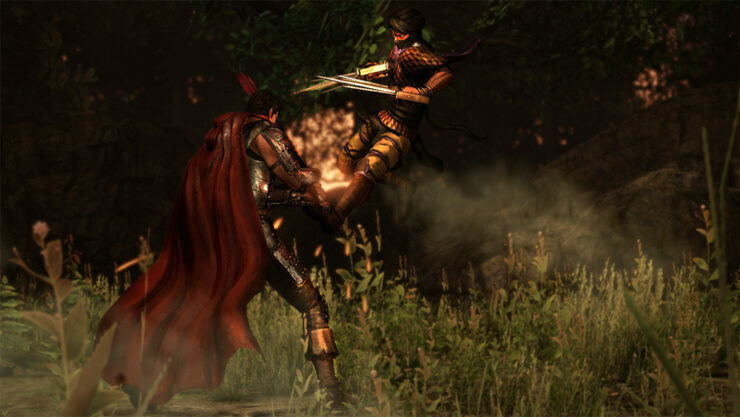 Berserk And the Band of the Hawk is a hack and slash game with a very strong emphasis on the slash part. Players can smash monsters against the walls or split them in half in one slice. If you have seen Berserk, cutting monsters in half is very commonplace. Berserk And the Band of the Hawk will take place in the ‘Golden Age Arc’ all the way through ‘The Hawk of the Millennium Arc’ from the manga series. Fans of the animated movies will appreciate the scenes that flesh out the relationship between the members of the Band of the Hawk were created specifically for the game.